Winner of numerous awards, each year for 12 years running, Air Arabia is highly regarded as a pioneer in low-cost carriers. Fly in style with comfortable seating in their spacious cabins. Before boarding your flight, freshen up and relax in the Air Arabia lounge at Sharjah International Airport. With plans to expand their already impressive fleet of A320 Airbuses and extend their route network, you can be rest assured, Air Arabia can fly you to your desired destination. Air Arabia is the first and largest low-cost carrier in North Africa and the Middle East. Established in 2003, the airline has grown from strength to strength and is a member of the Arab Air Carriers Organisation. Based in Sharjah in the UAE, Air Arabia operates scheduled flights to 51 destinations across the Middle East, North Africa, Asia and Europe. It’s flexible online loyalty programme, Airewards, offers great inflight options, packages and airport services for its members. Book Air Arabia flights to India, London, Morocco and other exciting places! Pre-book your baggage allowance and save up to 90% of baggage charges at the airport. Air Arabia works on a weight concept and you are not restricted to the number of checked bags. You can select between 20kg, 30kg or 40kg. If you select the 40kg option, please note that each piece may not weigh more than 32kg. An additional excess of 20kg can be purchased at the airport. Passengers are allowed 10kg of hand luggage, and dimensions may not exceed 55cm x 40cm x 20cm. Children under 2 years old are entitled to one standard-sized bag. Air Arabia check-in counters open 3 hours before flight departure, and close 1 hour before departure. Ensure you have all your relevant documents, including visas (if needed) for your destination country. If you are boarding from the UAE, there are number of check-in terminal counters throughout the region. You are able to check in your luggage, choose your seat and collect your boarding pass. City check-in counters are available 24 - 3 hours before flight departure. Online check-in options are available across most destinations. Some airports, however, do not accept an online boarding pass and you will be required to check in at the dedicated check-in desk. For flights from Sharjah, online check-in is available 24 hours before departure; for other airports, the online option is available 12 hours before departure. If you do not have luggage to be checked in, you can proceed straight to the boarding gate. 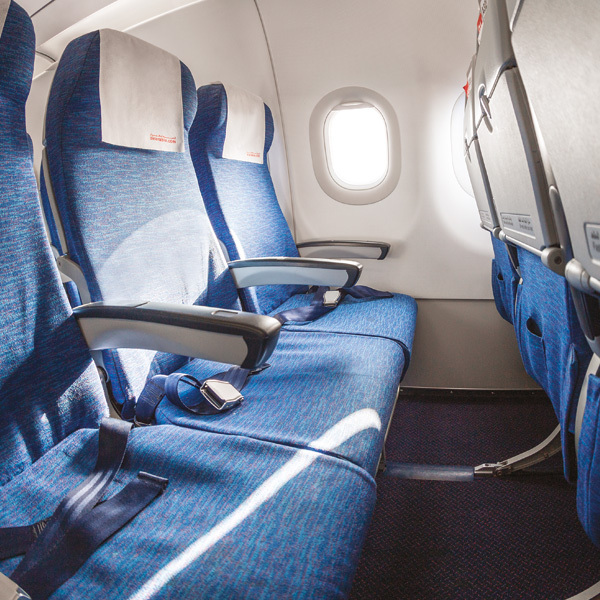 All of Air Arabia’s aircraft are configured with Economy Class seating, with ample space and legroom. For an additional fee, you can choose your seat when booking your flight. If you would like to try the Middle Eastern delicacies served on board, their Sky Café menu has a wide variety of meals and snacks to choose from at affordable prices. It is recommended to pre-order your hot meal for long-haul flights. Only non-alcoholic beverages are served on board. Experience Air Arabia’s rather different approach to inflight entertainment! Their “Fun Onboard” programme is bound to have you dancing in the aisles. Entertainment comes in the form of singing, dancing and trivia quizzes. The little ones are treated to face painting and drawing, with some of their favourite cartoon characters to meet and greet at the airport. 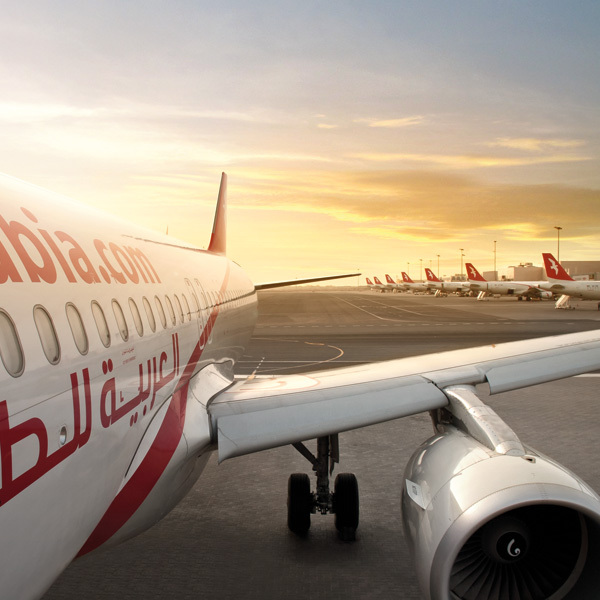 Air Arabia flies to over 120 destinations across North Africa, Asia, Europe and the Middle East.